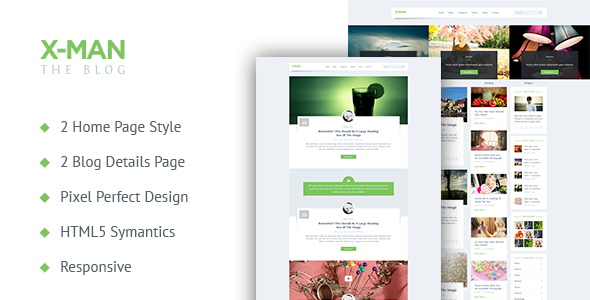 X-Man – A Personal Blogging Template is built based on the PSD template of the same name: X-Man – A Personal Blogging Template. This HTML5 template implemented pixel perfect and beautiful design of original PSD template and utilizes HTML5 semantics for SEO optimization. Most of animations in this templates are based on CSS3 to improve the performance of the template. It includes 2 blog home pages, 2 blog detail pages and includes LESS for easy customization..